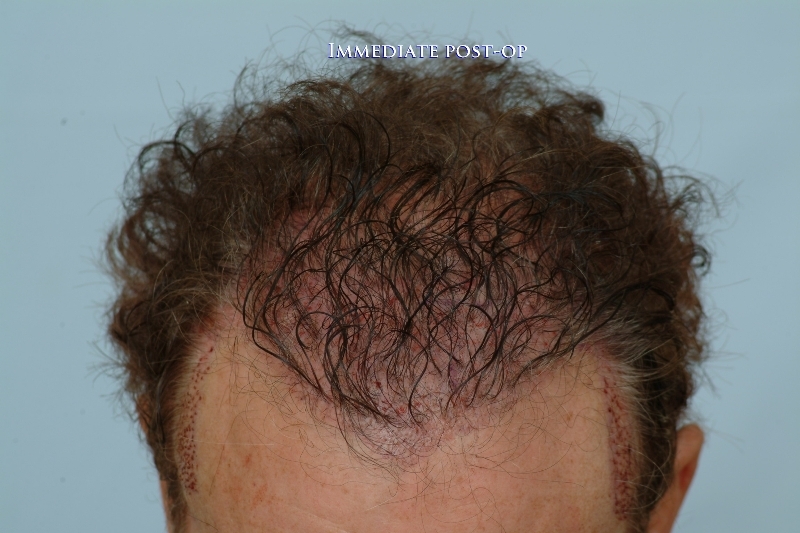 Attached are photos of a patient who had three prior procedures at a hair transplant clinic in ‘05. Each procedure added more density but were failures due to the unnatural appearance of the final result. All patients’ goals should be to have a procedure that will produce natural looking results. 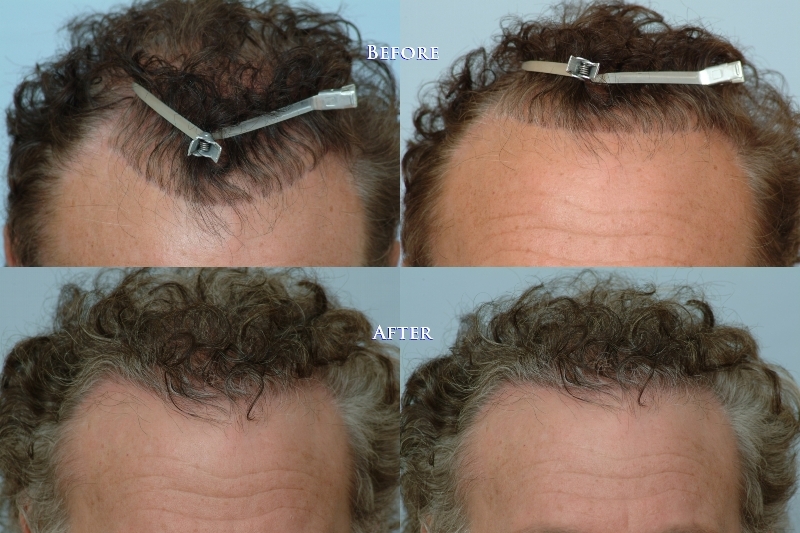 The patient’s goal was to obtain a more natural looking hair line and reduce the appearance of the previous plug work. 13 months ago, this patient was treated with 750 CIT grafts to the frontal hair line.